Last week, Nick had Thursday and Friday off, so we took a little mini-trip to Monterey, CA. 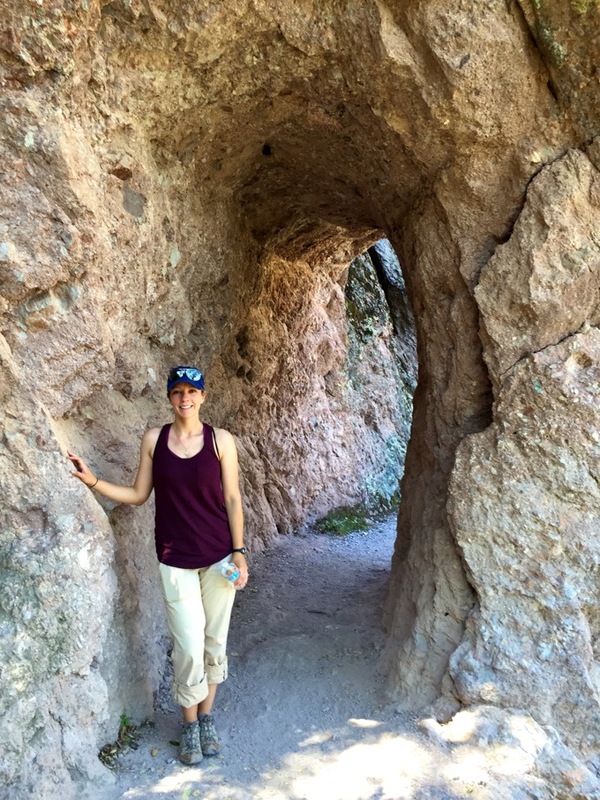 On the way there, we stopped at Pinnacles National Park for the day. It’s been forever since I’ve done a travel post, so I figured it was high time. Plus, the park was too cool and beautiful not to share! Our favorite thing to do while traveling is eat, of course. Our second favorite thing is to anything and everything outdoorsy that we possibly can. This includes hiking, which we almost always seem to find time for on our vacations and weekend trips. I had been wanting to check out Pinnacles since someone recommended it to me last year. Pinnacles is a lot lower in elevation than a lot of the hiking we have near us, so that means it’s not great in the summer. It’s hot, very hot. Last year we missed our springtime window of opportunity at Pinnacles, so I was determined to make it there this year. Since it was pretty much on the way to Monterey for us, it was the perfect opportunity to go. 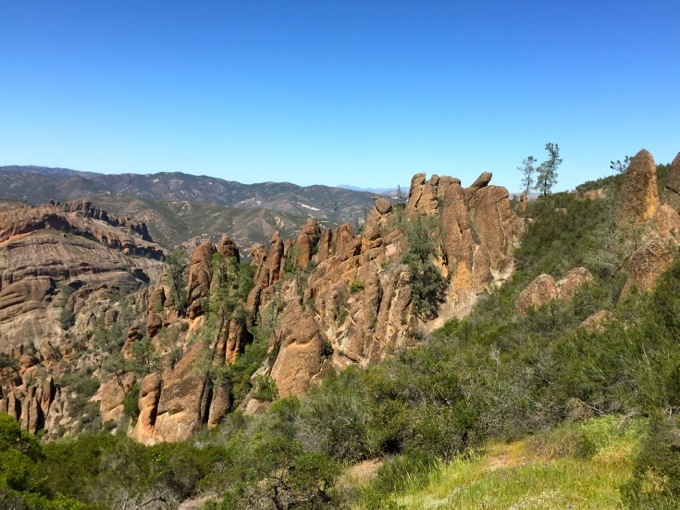 Many people head to Pinnacles in the spring for their gorgeous wildflowers. Unfortunately, this year we basically didn’t have a winter. Which means that March was pretty much already summer and we had, for the most part, missed the wildflowers. There were still a few lingering flowers here and there, but the majority had already come and gone. 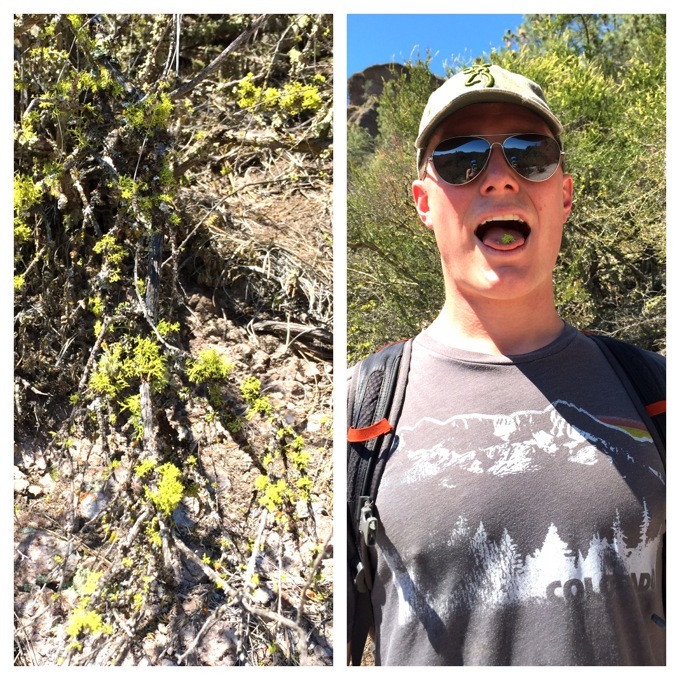 That was OK though– there ended up being so much other cool stuff to see in Pinnacles. Cool rock formations, talus caves, a pretty reservoir, and breathtaking views. After stopping in at the visitor’s center, we drove up and parked at the Bear Gulch day use area, and then headed up the Moses Spring and Rim Trail Loop. The trail starts down in some lush, shady areas with neat rock formations. Then it heads to the talus caves. I had to Wikipedia what a talus cave is: it’s a cave made from falling boulders. Yep, these definitely were. 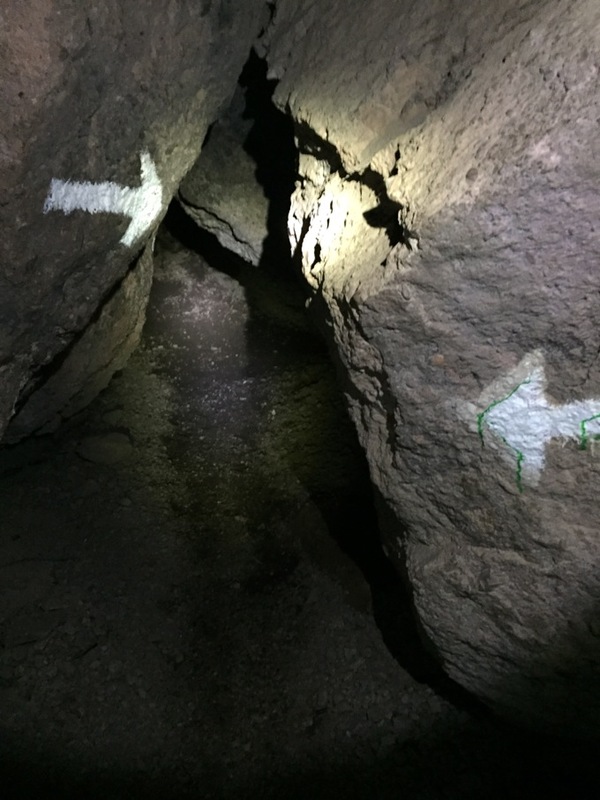 You need a flashlight to get through the caves. 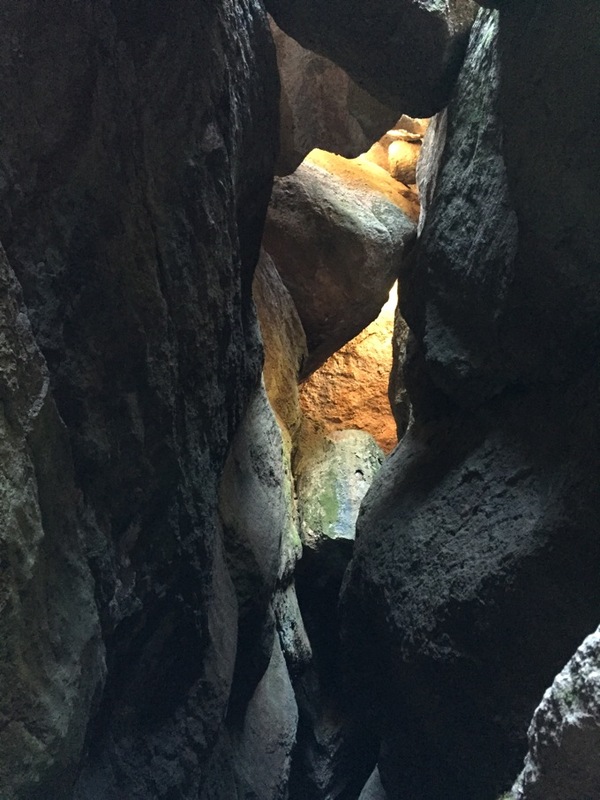 Some spots have cracks between the boulders where the light pours in, but some spots are pitch black. 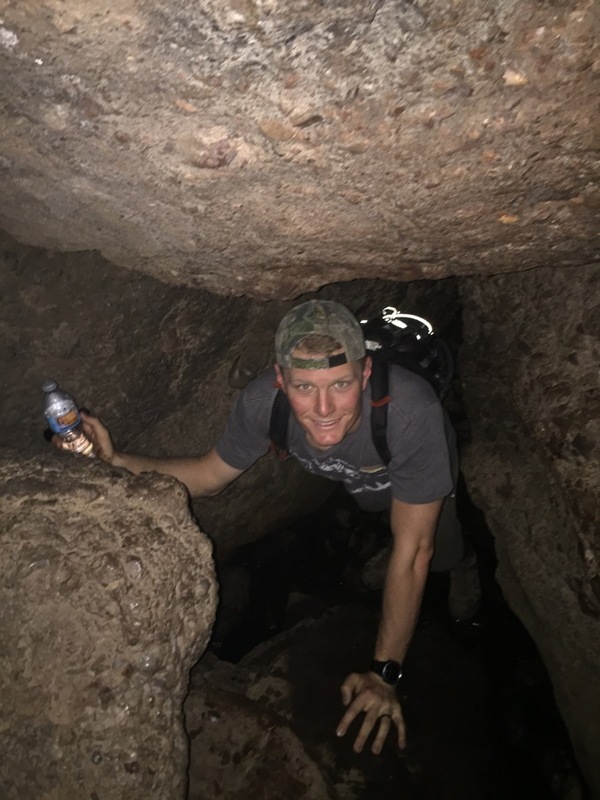 There were a few tighter squeezes (especially for my super tall hubby), but I can be pretty claustrophobic and I didn’t have any issues. 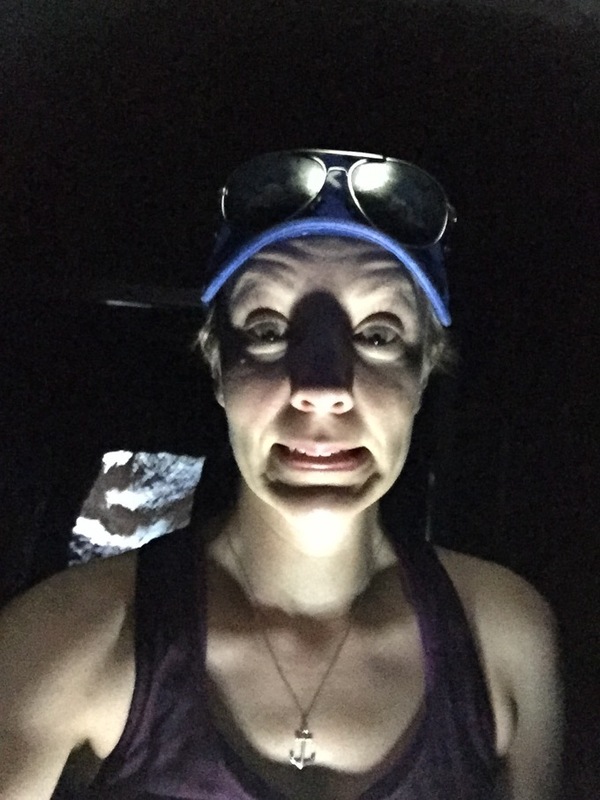 I was so cool and breezy in the caves, I didn’t feel confined at all. There were neat waterfalls and streams all throughout the caves. Once we exited the caves, we hiked a little further up to the reservoir, which was looking a little low, but still pretty nonetheless. If you want an easy hike, you could continue on down the Rim Trail from there, back to Bear Gulch. We opted to continue on to High Peaks and Bear Gulch Trail Loop. This was definitely not an easy hike, but the views were oh-so worth it. 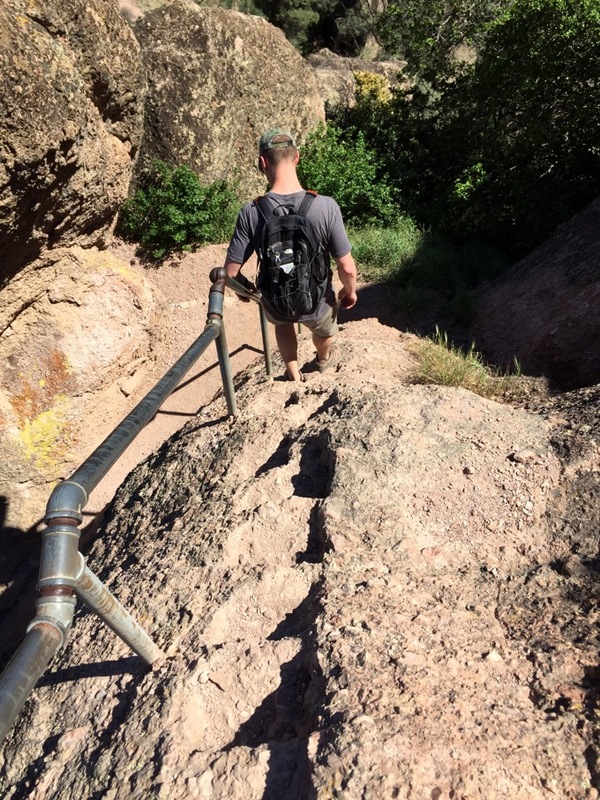 The hike took us up some pretty gnarly boulders, and though in places they had handrails, there were also some places that didn’t where I kind of felt like I should be wearing my rock climbing gear! Going down seemed even more treacherous. It was funny, though– we went on a Thursday and I kept joking that it was senior discount day because it seemed like everyone we saw was over 70. If I can hike a trail half as strenuous as that one at 70, I’ll be pretty proud of myself. I was totally impressed. We got to the peak dripping in sweat, and were rewarded with some amazing views that iPhone cameras just do not do justice to. On the way down, we stopped to have a snack. Nick spotted some “Indian popcorn,” which he apparently learned about at survival school. He made me try some and it did indeed taste vaguely of unsalted, dry popcorn. We really, really enjoyed this hike. I’m so glad we finally made it out there. If you happen to live in or be visiting California, Pinnacles is definitely worth the trip. 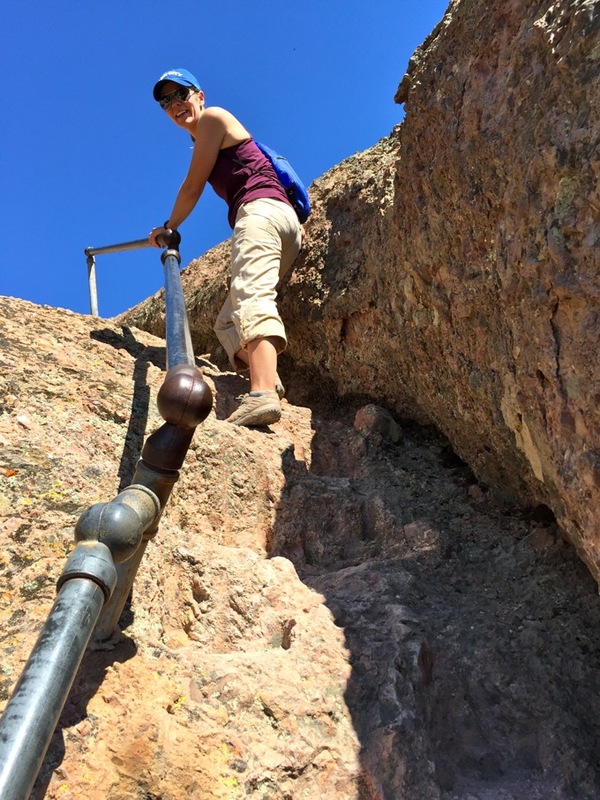 According to its website, Pinnacles in American’s “newest” national park… it may not be as famous as some of the others, but it’s definitely a special one! Though we didn’t see any, it is also home to many of California’s endangered condors, huge birds with an almost-10-foot wingspan. If you want to visit, you can find out more info about Pinnacles on their website here. And if you want to read about some of our other adventures, be sure to check out my Travel Page! Monterey?! You were only 2 hours away from me! We’re actually headed down that way next weekend, to Carmel. This hiking spot looks so cool! We are going to have to check it out! Your pictures are so gorgeous, Jess! I would love to go hiking there! Sounds like you had beautiful weather and got some great exercise! It was so pretty! One of the best parts of moving around the country is seeing all the beauty it has to offer! 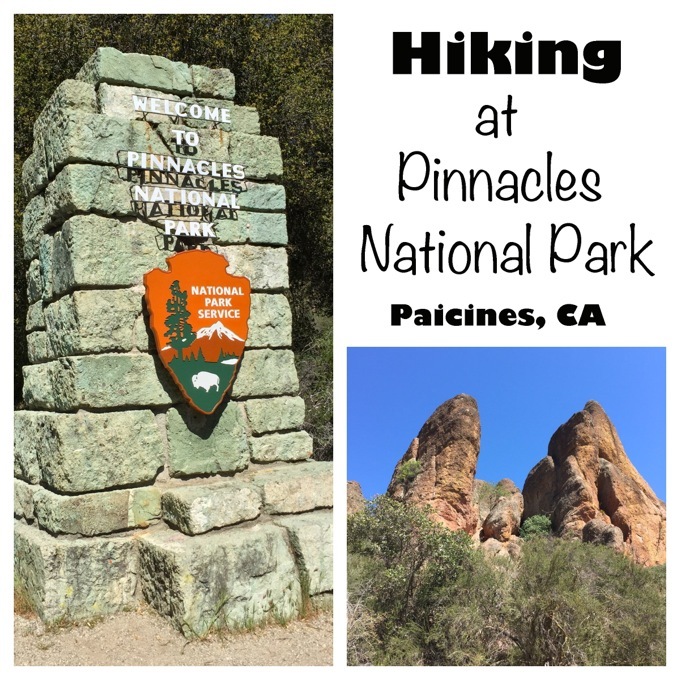 I’ve never been to Pinnacles but I’ve always wanted to go! It looks so beautiful! Makes me want to go out hiking before it gets way too hot here! That popcorn looks like moss, haha! That is crazy that it actually tastes kinda like popcorn! I always love reading travel posts! You took some really great pictures! Thanks, Christin! It was such a fun trip! It looks like you guys had such an amazing time! It looks gorgeous there! Love all the pics that you took!